More & more people are accessing the internet 'on the fly' on a mobile phone, smartphone or tablet device. Stay ahead of your rivals & get a mobile website. 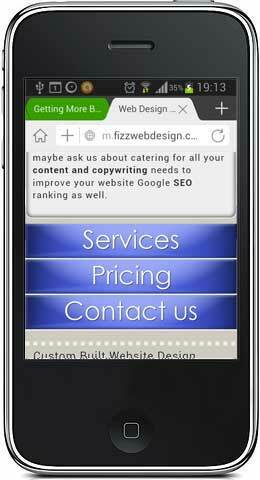 We can create a mobile specific version of your site that will work in harmony with your normal desktop site. Read on to find out more. Statistics tell us that more & more people are accessing the internet on the go on tablet devices like the iPad or smartphones like the Samsung Galaxy S4 or Apple iPhone. Most sites are created for a desktop or a laptop & may be hard to read or navigate on a portable device. Statistics tell us that user attention span can be as little as 3 seconds. That means if a user cannot see what they want on their smartphone immediately, they will move on to the next website. Users access mobile websites in a different way. Often with limited time & even less patience than usual, often walking or on public transport, or in a meeting searching for a number or some information quickly. 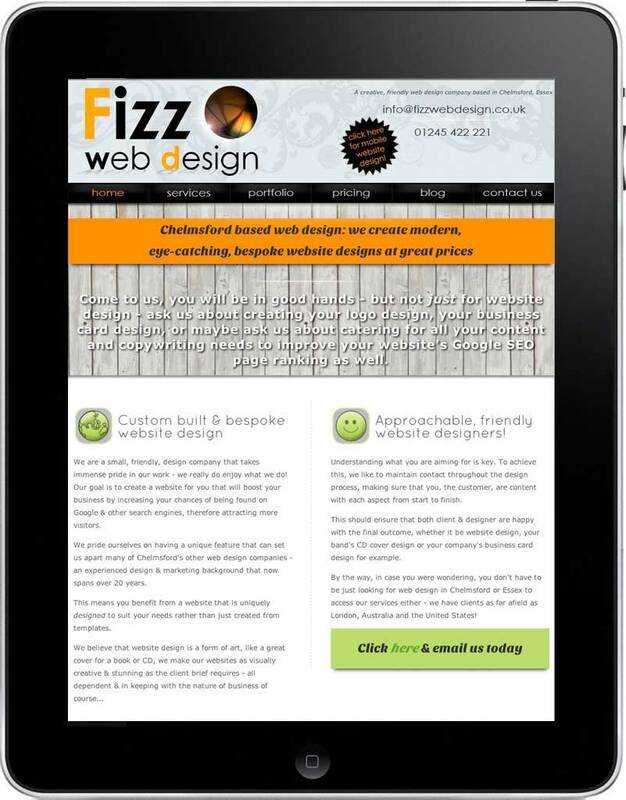 So your mobile website needs to be user-friendly, that is, easy to access and quick to navigate around. In many ways, the look of the website takes second place to functionality. Call us on 01245 422 221, or email us today to find out more. We will create a site using the feel of your main site, but with the excess removed. Your mobile site will be easy to navigate, the text will be larger and the buttons will be large enough to press easily. The main object will be to drive customers to contact you. Nearly all smartphones and other mobile devices are now touch screen, so we need to design with this in mind. Of course, your user may want to view the standard desktop site, so it's always a good idea to provide a link for them to do so. 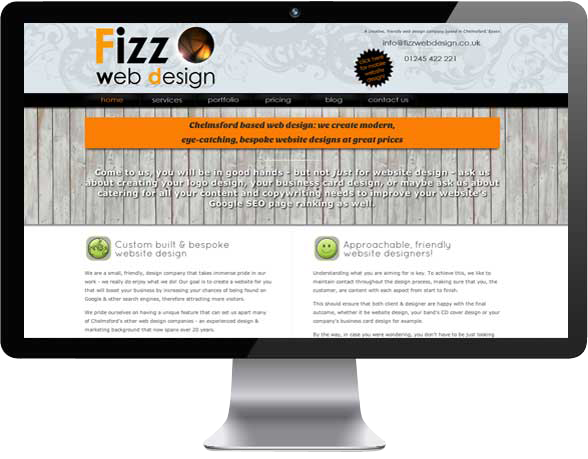 We aim to make your mobile website simple to use & extremely user friendly.